Echodyne is poised to reinvent the way the world uses radar, and to make radar vision a reality. 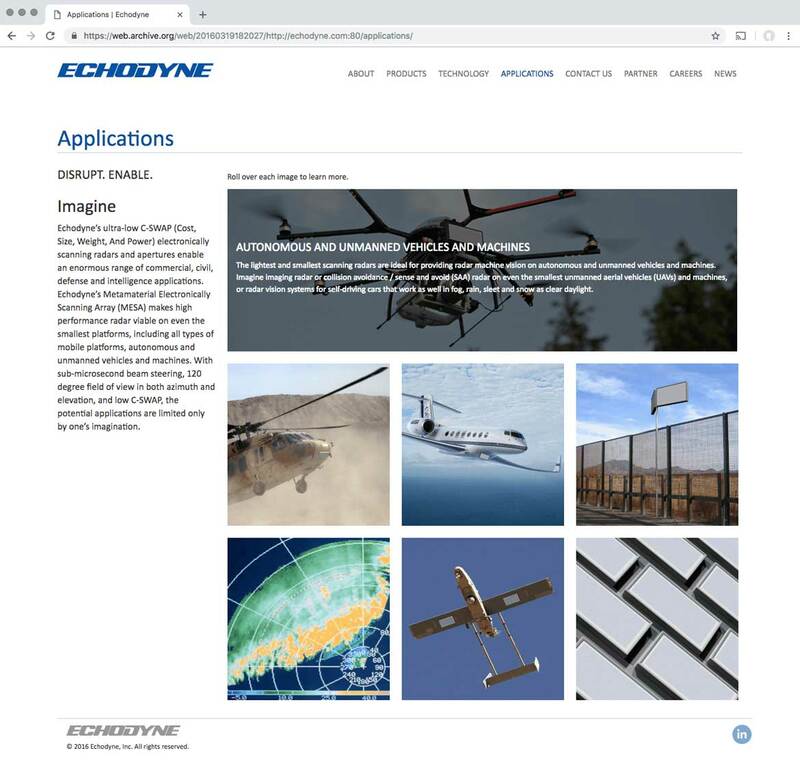 As a recently-funded startup, they needed a website that reflects their position as a cutting-edge technology company poised to be disruptive across a wide range of existing radar applications. The site has since been updated with a different design.